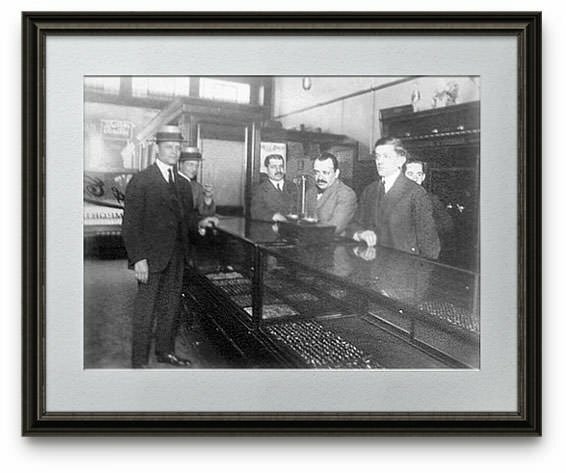 D. Atlas & Co., Inc. was established in 1898 on Philadelphia’s “Jewelers Row,” and has been running continuously as a buyer of jewelry for more than 118 years. We have been involved in the estate jewelry trade since the early 1970s, and have helped generations sell their unwanted valuables with our expertise. Our reputation and history are as consumer diamond champions. Whether these items are from an estate, divorce or to simply free up an unused asset, we have an interested market. It is our job to listen, advise and make our process work for you without pressure or the creation of misgivings. It is our desire to clarify the jewelry selling process to help you achieve your goals. Steven Schiffman has traveled both domestically and internationally to learn the intricacies of the jewelry business. Having made over 50 international and countless domestic trips to buy in the most active markets has given Steven a unique understanding of what sells and where throughout the world. While traveling and learning has been his passion, he maintained a retail store in the heart of Philadelphia’s Jewelers Row for over 25 years. D. Atlas Estates began as a partnership within D. Atlas & Co., Inc, established 1898. This was a working business between David Atlas and Steven Schiffman. David Atlas became active in the trade back in the late 1960’s in his family’s estate jewelry business. While Steven Schiffman became an estate jewelry entrepreneur and dealer in the mid-1970s. These two have traveled extensively both domestically and internationally to better understand the complex estate jewelry and diamond markets. While today their individual businesses are separately owned, their spirit of sharing their knowledge and cooperation with one another based on long term business remains. We have the expertise, reputation and history of buying jewelry for over 119 years. Sell diamond jewelry with D. Atlas Estates. We offer free insured overnight shipping for your jewelry anywhere in the United States.